As you move forward with your money, it can make sense to automate your finances. The right approach to money can help you stay on top of your money, and help you avoid slipping out of the middle class. Automation can be a good way to make sure the most important actions you take (saving, investing, paying bills) happen without much thought on your part. However, even though it often makes sense to automate your finances, you still need to be careful. Automation comes with certain pitfalls that you need to be aware of before you take the plunge. When it comes to automating your finances, you can automate practically anything. Your automation can boost your productivity, and ensure that you aren’t forgetting important aspects of your finances. You might also be surprised to find that you have “extra” money in your budget once you get down to the nitty-gritty and start automating. Investing: The most basic way to automate your investing is through the 401(k) at your workplace. But you can even go beyond that. One of the best places to automate your investing is Betterment. 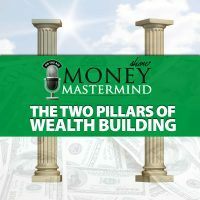 Get in the habit of automating your investing, and you’ll build your wealth over time. Savings/emergency fund: You can also automate your emergency fund. You can move money from your paycheck to a savings account or emergency fund, or set it up to automatically transfer from your checking account to a savings account/emergency fund. Bill pay: You can automatically pay your bills without too much trouble. Put certain bills, like the gym membership or cable TV cost, on your credit card. These bills are automatically paid and you don’t have to worry about due dates. You earn rewards with your credit card, and then you can pay off the card regularly. Even some bills, those that you can’t put on a credit card, automation is possible. Have your mortgage payment automatically taken from your checking account each month. The same is possible with your insurance premiums. 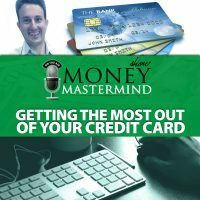 Credit card payments: Our guest on this week’s show, Matt from Listen, Money Matters, pointed out that you can even automate your credit card payment. Most cards will allow you to set up to pay at least the minimum each month. While you obviously want to pay off your credit card in full every month, the reality is that you might forget, and end up with a late fee. Arranging to at least pay the minimum each month helps you avoid late fees, and you can always preclude that payment by remembering to pay it off in full. When you automate your finances, it’s more about making sure you have your bases covered, and ensuring that you can create effective money habits that can take your finances up a notch without a lot of pain. How Do You Automate Your Finances? 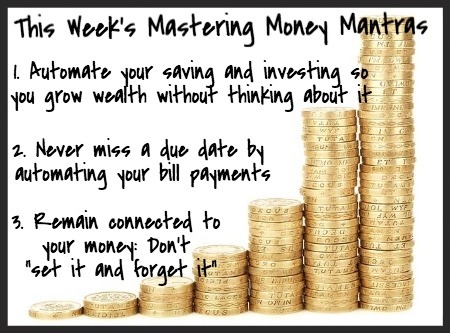 Once you decide it’s time to automate your finances, you need to make it a point to do it the right way. There are some easy ways to automate your finances, and the key is getting started. The first step is to simplify your finances if you can. Consolidate your bank accounts and your credit cards. During the “rate chasing” furor of a few years ago, many consumers opened accounts at institutions, going after cash bonuses and slightly higher interest rates. This can lead to unnecessary complexity in your finances, especially as bank fees continue to rise. Pare down your accounts by combining accounts, closing accounts, and moving your money around so that you have a relatively simple configuration. 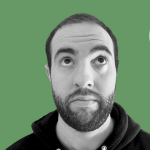 Once you have that squared away, our guest Matt suggests that you set up bill pay with your bank. Many banks offer bill pay services free of charge. And, if your bank doesn’t, consider switching if it makes sense. You can also visit your other services in order to find out about your automation options. I love that my milk delivery and my grocery delivery allow me to make automatic payments via credit card. I even automate my charity donations to the local food bank via credit card. It’s also possible to use your personal finance software to help you automate your finances and stay on top of things. 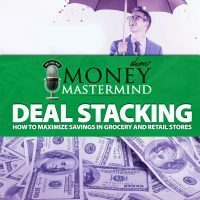 Once you have a system down, it’s possible to keep things moving pretty much like clockwork, and you don’t have to do much other than monitor your finances on occasion to make sure things are still working as they should. As with all things financial, there are some pitfalls to avoid as you automate your finances. First of all, you should be aware of your cash flow situation. Sometimes, it’s all about the timing. You don’t want your mortgage payment to come out of your checking account two days before your paycheck is deposited. When possible, plan due dates around your income schedule. If you have a variable income, do your best to plan for that as well. You can build up a cash cushion (like Matt does), or you can do what I do, and connect your checking account to a low-rate personal line of credit that can serve as backup when things don’t quite line up. Another concern is becoming disconnected from your finances. Automating doesn’t mean that you can forget about your finances altogether. You still need to check in every now and then to make sure that everything is working as it should. A few years ago, we got in trouble when my the payroll department at my husband’s work didn’t deposit as much as they were supposed to. We didn’t realize this error until two weeks had passed — and a transaction was denied. Even if you automate, check in regularly to ensure that everything is working as it should, and all the amounts are correct. When you automate your finances properly, you can backstop your money, and you can ensure that everything is taken care of — including the investing and saving actions that will provide for your future. Great show. My first one and learned a good deal. Informative and entertaining too. Glad you enjoyed it! This week we’re discussing Extreme Saving, which should be a fun one for you to watch, what with your site. Check it out! Excellent show today – just started listening a few days ago. Kind of funny but i do some of these same things – especially Capital One – i call it “Squirrel Investing” because i have 10 +/- accounts that i squirrel away money for vacation, insurance, new car, “self insured” pet insurance, new computer, etc. Once i have enough money, i feel better about making the purchase. Also a big fan of paying off the CC each month and raking in the reward points.